Want To Get Into A Star Wars Battle? You get to be a part of the Rebellion. I don’t mean in an RPG; I don’t mean cosplaying: I mean within a virtual space and a physical space simultaneously, you get the feel of what it is like to be a Star Wars soldier. You may have heard of Oculus Rift, you may have heard of standard VR games, but this is something more. Fans of movies, fans of video games, fans of virtual reality, even fans of laser tag, let me introduce you to the future. 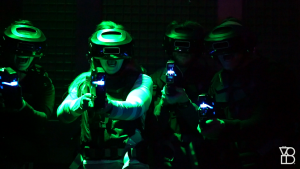 Not only do you go into a real, physical space with an overlay from a headset—where you can see your hands move in real time—you do it with other people, and even get a laser tag gun for blasting Stormtroopers. On your chest is a rumble pack, so every laser hit and other tactile experience in the game comes straight to your vest. This is a step toward the ultimate fantasy. 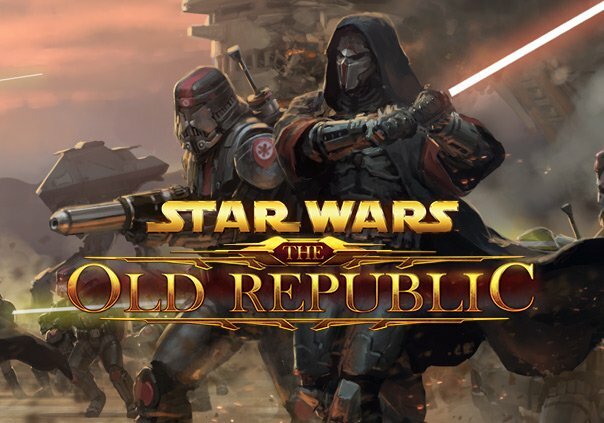 Science fiction stories have, for a long time now, been predicting full digital immersion and I can think of no better media franchises for this newest leap forward than Star Wars. Now, obviously the biggest question is where the heck does one go to do this, please—that was one of my first ones. Well, Disney has you covered. It’s showing up in a few places now, but, I hope, I pray, that it comes to even more sooner rather than later. Sure, it’s certainly a financial leap to make whole rooms and areas for overlay in a digital space, and I cannot imagine the equipment is cheap to buy or make, but, even still, the market demand for something like this should be (and from what I can tell is already) amazing—and people’s willing bucks will hopefully propel it to be something everyone gets to try, regardless of their traveling ability. Because, sometimes, you need escapist media. And I can’t think of a bigger escape than to a galaxy far, far away.